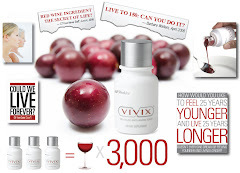 Barefoot Resveratrol Anti-Aging Tonic: More than Anti-Aging... Life Changing..
More than Anti-Aging... Life Changing.. I just had to share this with you... When I read note's like this I get goosebumps. To be able to offer folks products that change lives is one of the most rewarding benefits of my lifestyle choices these days. devastating it is for a women. nothing worked. It seemed to be getting worse! change. My hair growth was unbelievable. In Dec. of 09 I was visiting family and I walked in to their home without a wig. First time in over 2 years. Their expression's were priceless! worth more than words can express!